If you're looking for felt ideas, look no further than this FREE eBook, which features tutorials for felt flowers, purses, crafts for children and so much more! These cute floral faces are fun and easy felt crafts for kids. You can make them into pins or magnets to brighten up your lazy summer days. These summer craft ideas are super easy to make - just trace, cut, and glue the pieces together. These flowers would look great pinned to a backpack or tote bag. 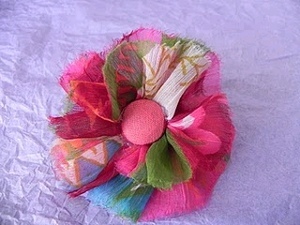 You could also wear them as accessories for your hair or clothes. Little girls will love the little smiles on these adorable flower crafts! Grab some felt and get started. If you like this fun flower craft, you'll love these 11 Floral DIY Hair Accessories! Glue Large Flower pieces to Small Flower Pieces. Glue Leaves to the Back of Large Flower Pieces. Glue Google Eyes onto Center of Small Flower Piece. Using your black marker, draw a nose and a mouth. Glue your pin back onto the back of your flower. 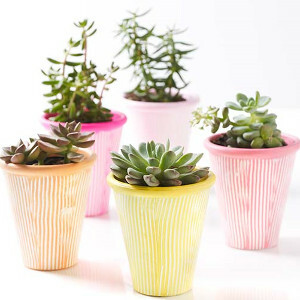 For more fun summer projects, check out these 33 Flower Pots Crafts. Ireally think these floewr pin are just the cutest things, I also think they would be cute on a headband for litrtle girls.